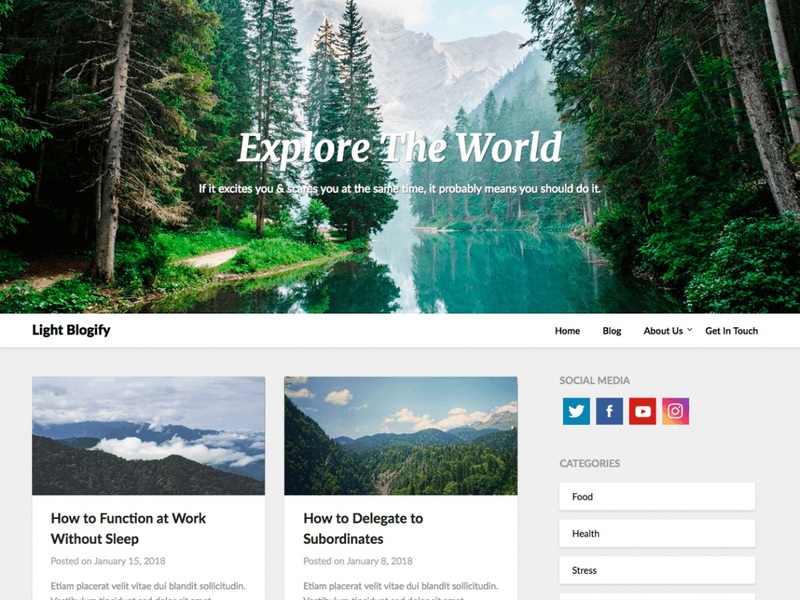 LightBlogify is your responsive and SEO friendly responsive blog, the theme is crafted to be used for blogging, journalist writing or newspapers. The code is optimized and clean so your websites loading time to be amazing. We have inserted lots of advertisement space where you can put your Google Adsense or other types of ads if you wish. It’s a great theme if you’re a writer whose writing about entertainment, food, lifestyle, product reviews, fashion, travel, gaming or other sorts of affiliate blog. The theme works with Beaver Pagebuilder as all our other themes so you can create a minimalistic business agency portfolio, landing page or one page. The design is creative and modern, it’s, of course, responsive so it works on tablets, desktop computers and mobile phones on any system such as Apples iOS/iPhone, Android or Windows phones.